On October 26, 2017, the president declared the opioid crisis in the United States an official National Public Health Emergency. Opioids are highly addictive narcotic drugs like heroin, fentanyl, morphine, codeine, and various prescription painkillers. In years past, doctors would nonchalantly prescribe opioid painkillers like OxyContin or Percocet to people experiencing pain problems. 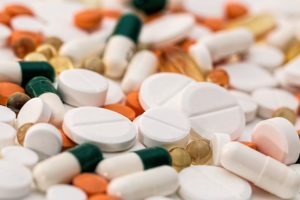 While this was certainly appropriate in some cases, it merely masks pain rather than treats it, and the highly addictive nature of these drugs has led to what has been called “the worst drug crisis in American history.” Here are 9 things you need to know about the opioid epidemic in the United States. About 116 people die every day in the United States from an opioid overdose. In 2016, health care providers across the US wrote more than 214 million prescriptions for opioid pain medication. That’s a rate of 66.5 prescriptions per 100 people! As many as 1 in 5 people receive prescription opioids long-term for non-cancer pain in primary care settings. Every day emergency units treat more than 1,000 people for misusing prescription opioids. More than 40% of all US opioid overdose deaths in 2016 involved a prescription opioid. Drug overdoses claimed the lives of nearly 64,000 Americans in 2016. Nearly two-thirds of these deaths (66%) involved a prescription or illicit opioid. The CDC estimates the total economic burden of prescription opioid misuse in the US is $78.5 billion a year, including the costs of health care, lost productivity, addiction treatment, and criminal justice involvement. Recently, scores of counties throughout the United States have begun offering trainings to mental health professionals, drug addiction specialists, first responders, and average everyday citizens on the use of Narcan (aka Naloxone). Narcan is a non-addictive medication that reverses the effects of an opioid overdose. Under Good Samaritan Laws, an average citizen can intervene in good faith by applying Narcan to the victim of an opioid overdose. Many retail drug stores carry non-prescription Narcan so it can be easily purchased there. However, if you’d like to receive training on the appropriate use of Narcan, you can search for seminars in your area or request one here or here. In Need of Lawyer for a Drug Crime? If, however, you are on the other side of this battle and are going to trial for a drug crime or DWI, you need a competent lawyer by your side to defend you. Contact Mark Catanzaro today! Next Post: What’s the Difference Between Probation and Parole?